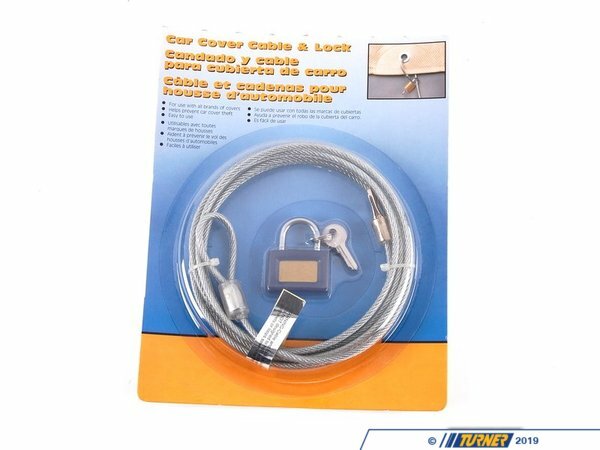 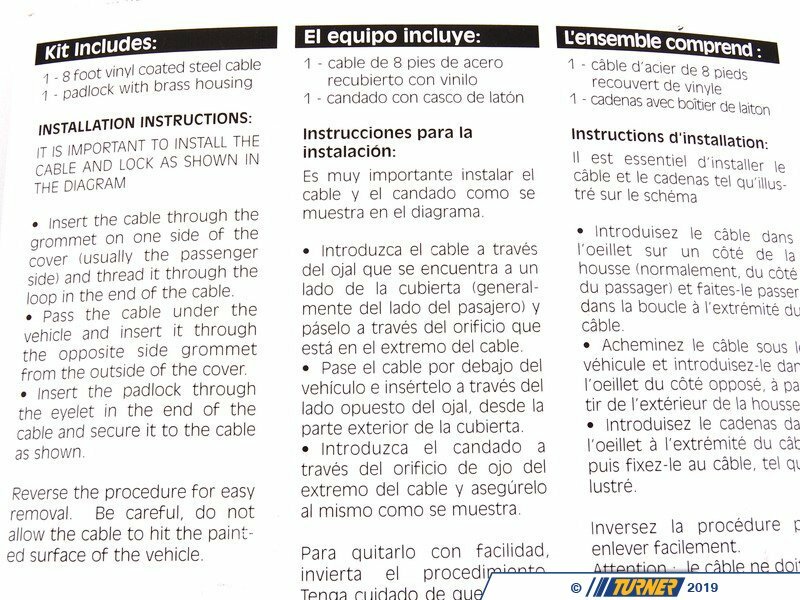 Keep your BMW and your BMW car cover secure with this Genuine BMW car cover cable lock. 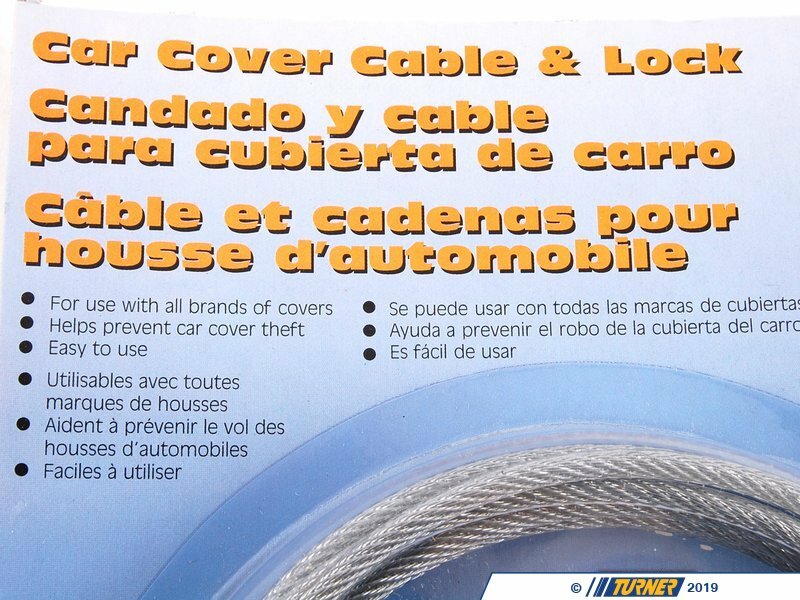 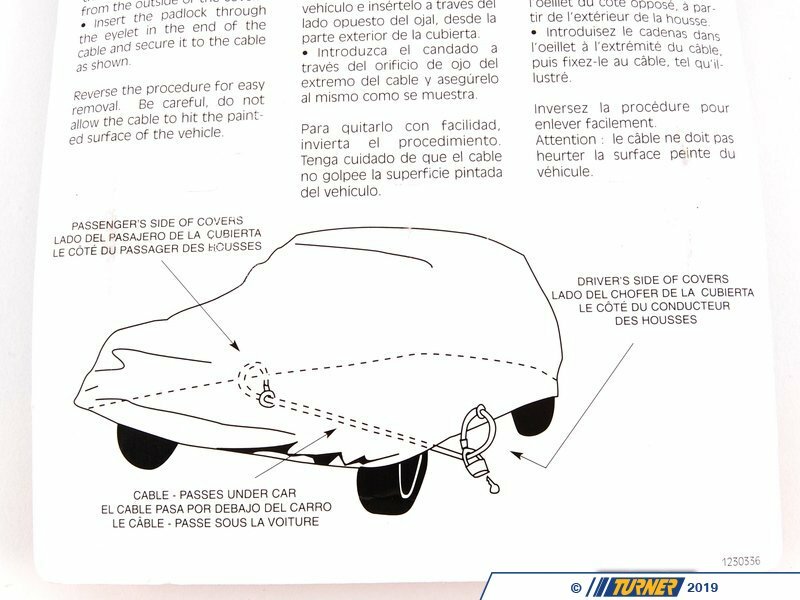 Thread the cable through the cover eyelets and secure with the included lock to keep your car cover in place in high winds. 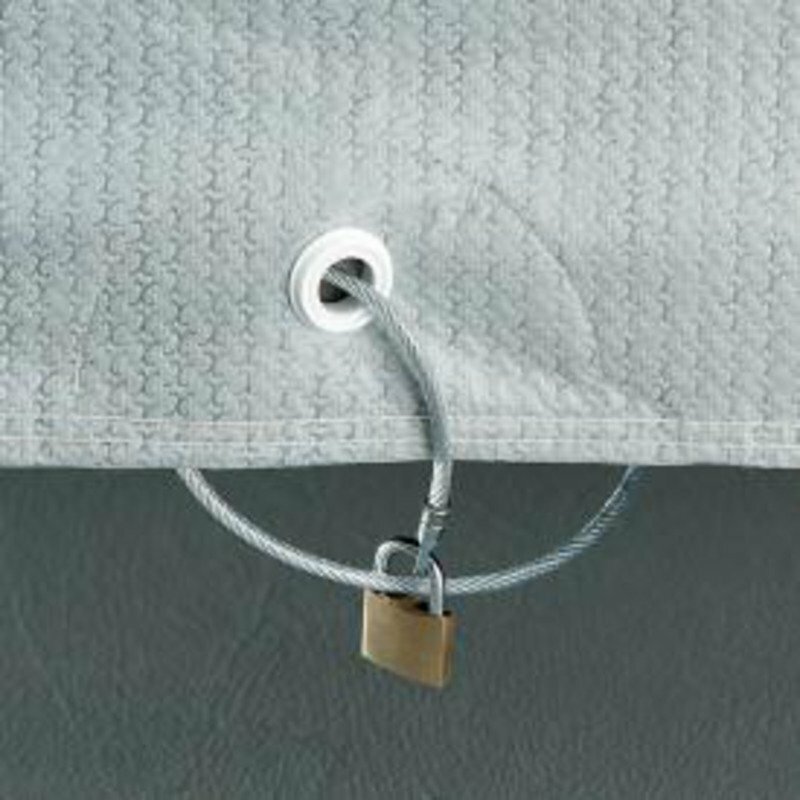 Additionally this will help to keep prying eyes from looking under a cover.